Quality pays off. For you, for us and for the environment. 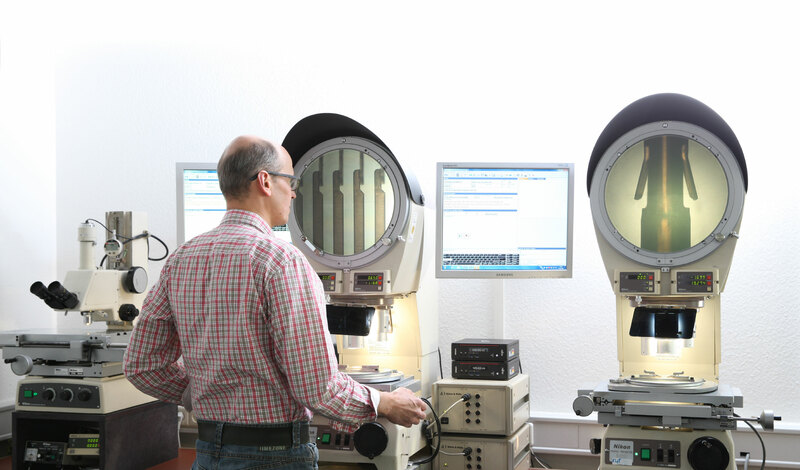 We analyze, test and inspect with the latest equipment and highly precise measuring techniques, so as to continuously ensure optimal results. Our quality assurance with its modern CAQ system and optical test cells in the stamping part production is uncompromising and satisfies the most stringent standards. Advanced quality planning is obligatory for the production processes, with prototype parts as well as series being sampled by means of a production process and product release (PPF), a production part approval process (PPAP) or a first sample test report (FSR). Our quality management that is based on high environmental protection and work safety standards is certified in accordance with ISO 9001 and ISO 14001. Internal audits are part of Hölzel’s strategy of a continuous quality and process improvement. All these are things, our customers can rely on. sampling with PPF, PPAP or FSR.